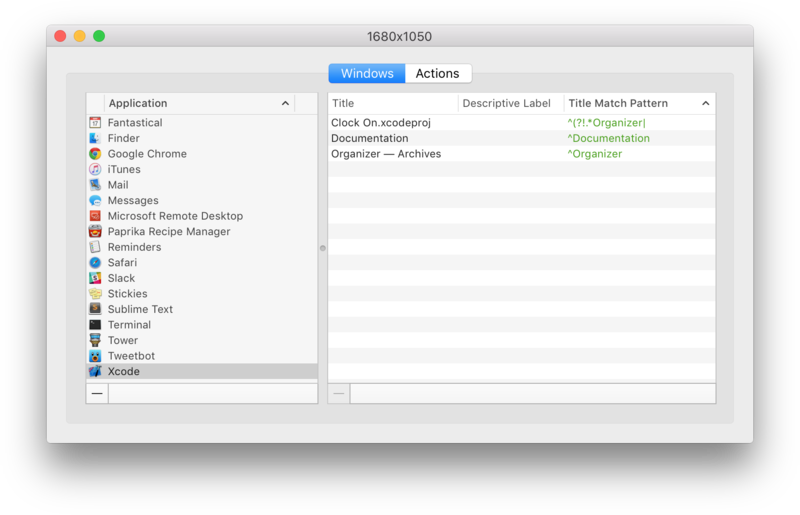 To set a title pattern match string for a stored window, simply double click on its “Title Match Pattern” column. Setting a pattern match string for a stored window forces Stay to restore any window with a title that matches the pattern to the size and position of the stored window. Stay’s pattern matching system uses the ICU regular expression syntax.